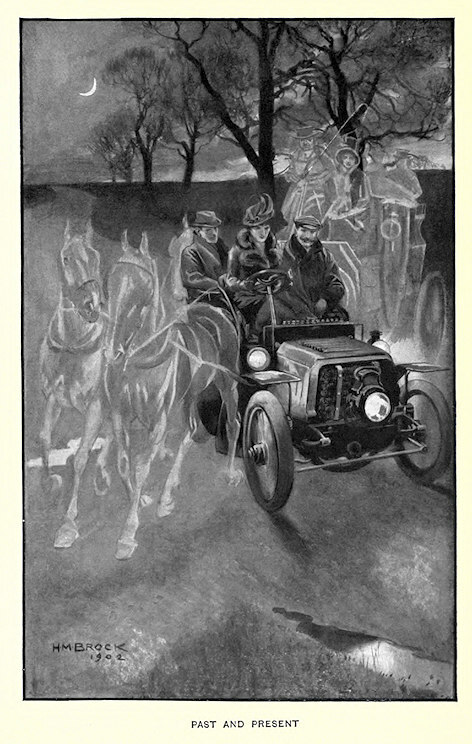 Punch magazine cartoonist who did many motoring cartoons.. His art was used in 'Motors and Motor-Driving' by Harmsworth et al. first published as part of the Badminton Library in 1902. 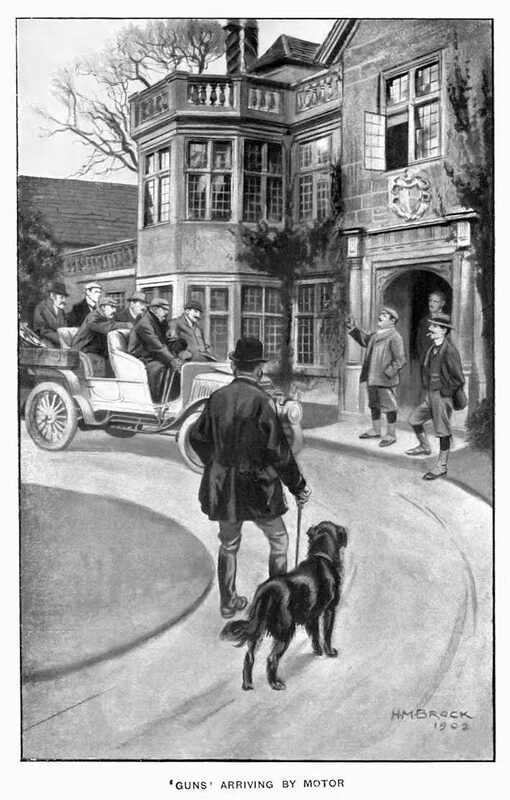 Guns Arriving by Motor from 'Motors and Motor-Driving'. Image courtesy of Stuart Middlemiss. Past and Present from 'Motors and Motor-Driving'. Image courtesy of Stuart Middlemiss. 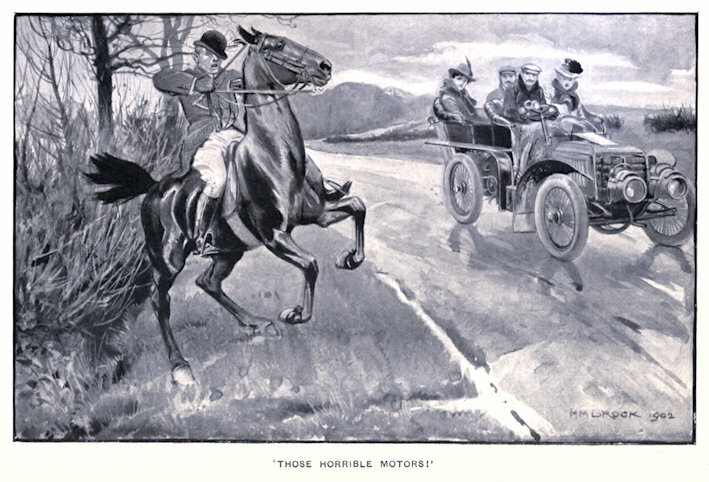 Those Horrible Motors from 'Motors and Motor-Driving'. Image courtesy of Stuart Middlemiss. 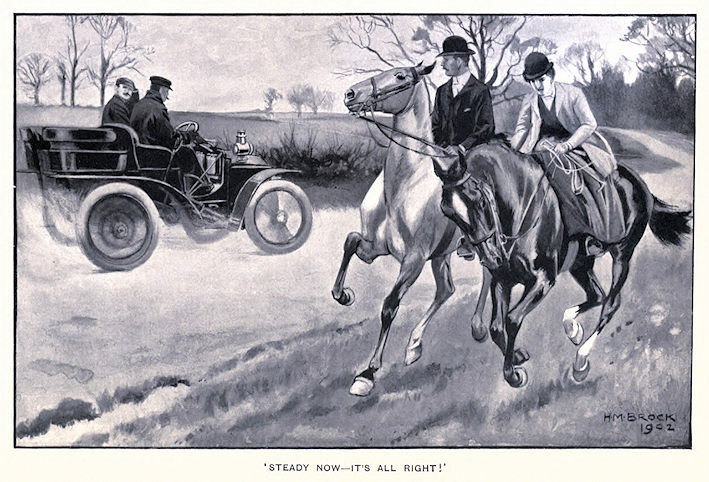 Steady Now - It's All Right from 'Motors and Motor-Driving'. Image courtesy of Stuart Middlemiss.